Agriculture was once the basis of the socio-economic structure of Bangladesh, but in the last forty years the rain-fed agricultural subsystem has undergone transformation. In recent decades, irrigation and the introduction of High Yielding Variety (HYV) rice has worked to make Boro the highest-producing rice season – transforming Bangladesh from the “basket case” of the seventies into an economy that is self-sufficient in food. Although the Bangladeshi economy continues to be agriculture-based, this formerly firm foundation is undergoing immense changes and shifts. The reasons for this could be demographic pressures and the division and fragmentation of farmland, which is causing landlessness and a higher rate of migration to the cities. 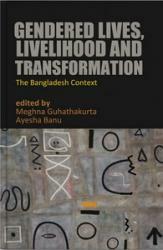 Migration has not been limited to the cities within Bangladesh, but also extended to other global cities. Currently Bangladesh is one of the main origin countries for migrant workers in the world. This book dwells upon gendered lives and livelihoods, exploring the dynamics of this transformation from a subsistence economy into a capitalist one, with an eye on those areas that have been under-researched thus far. The focus on multiple dimensions of the everyday lives of women explored here has revealed the different facets of social transformation and helped us to better understand these processes of change. The essays in this anthology are microcosmic studies deliberately chosen to demonstrate the understated realities of peripheral economies. The subjects vary from indigenous women engaged in jhum cultivation, Dalit women embedded in caste-specific work structures and relations, female-headed households in rural areas, and elderly women from city slums. All of the studies are a product of original fieldwork that has produced rich qualitative data and a limited amount of quantitative data. It is expected that the analysis of such data will be a precursor to theory-building efforts in this vital area as well as assisting in future policymaking discourses. 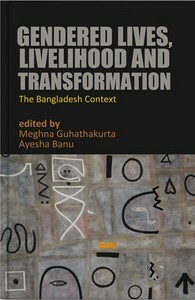 Introduction > Meghna Guhathakurta and Ayesha Banu / Social transformation in Bangladesh / Conceptual frame / The contributions. Reconstruction of Women’s Role in Jhum Cultivation and the Shift in the Gendered Division of Labor among the Garos > Soma Dey and Runa Laila / Introduction / Theoretical framework / Objectives / Methodology / The study area / Research findings / Analysis / Conclusion. Endangered Livelihoods, Gendered Lives: Women in Munda and Rishi Communities in Southwest Bangladesh > Hameeda Hossain and Suraiya Begum / Introduction / The study / The Mundas in Kashipur and Uttar Kodomtola Villages, Munshiganj Upazila / The Rishis in Khanpur Village, Tala Upazila / Emerging from the shadows. 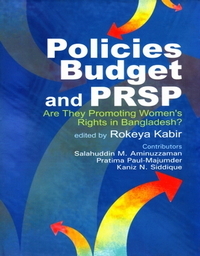 “Feminisation of Poverty” vs. “Feminisation of Household Heads:” Livelihood Changes and Processes of Graduation by Female-Headed Households in a Northern District in Bangladesh > Saikh Imtiaz and Soheli Khadiza Azad / Analytical framework and methodological concerns: Using participatory poverty assessment and the sustainable livelihood framework / Introducing the village: Overall poverty situation, livelihood assets and female-headed households / Changing livelihood strategies: Women still remain visibly invisible / Conclusion. Ageing and Livelihood Vulnerability: Voices of Elderly Women from a Dhaka Slum > Fouzia Mannan and Ayesha Banu / Introduction / Ageing and vulnerability / Urbanisation, urban poverty and vulnerability in Bangladesh: Issues and concepts / Objective of the study and methodological issues / Findings and discussions / Concluding remarks.